IMPORTANT: There is an updated version of this tutorial available here. In this tutorial you will learn how to configure free, auto-renewing SSL certificates for WordPress websites that are hosted on Google Cloud Platform using the Click-to-Deploy version of WordPress. If you’re using the Bitnami version of WordPress on Google Cloud Platform, you can view that SSL certificate tutorial here. Before getting started with this tutorial, you should have already installed WordPress on Google Cloud Platform, and set up a domain name for your WordPress website. 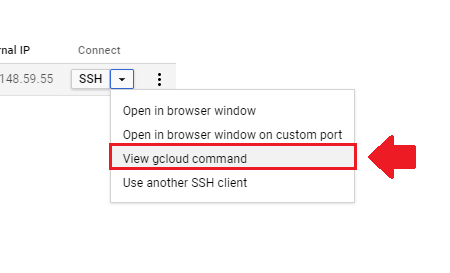 Once inside your Compute Engine, click on the arrow next to the SSH button and select “View gcloud command”. 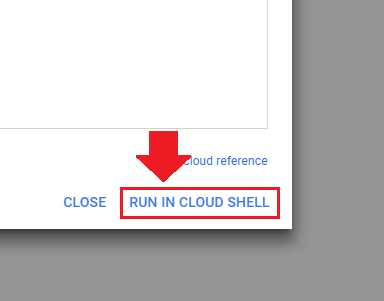 After clicking on “View gcloud command”, click on the RUN IN CLOUD SHELL link in the pop-up window that appears. Once you’ve connected to your instance, press enter to run the gcloud command. Next, you will run the commands below to tell Apache to install Git. The Sudo -i command will put you in root mode, and the apt-get command will tell Apache to download Git. Press “ENTER” after entering each command. Now that you’ve installed Git, you will enter the “cd /tmp” command to navigate to your temporary file directory. Next, you will run the “git clone …” command to download the certbot files. After running each of these commands, you can stay in the same SSH window or exit and open a new one. In this step, you are going to generate your certificates. Based on the picture, figure 1 represents the command to access your certbot directory. Figures 2 and 3 are part of one command, where 2 is the path to your website’s root directory, and 3 is your website’s domain name. In this case, you will be securing both the non-www and the www-version of your domain. Before setting up auto-renewal for your certificates, you are first going to run the commands below in order to test the auto-renew function. Next, you will use the crontab command to set a schedule for checking for renewals. Then, you will enter 1 to choose nano as our text editor to edit our crontab file. Next, the crontab file will open and you will enter a command that tells the server to check for certificate renewals two times per day. The next step is to configure your certificates. You will run the first command to enable root access, then the second command to edit your SSL configuration file. Once you're inside of the default-ssl.conf file, you will paste the lines of code below towards the top of the file. While you're still inside of the default-ssl.conf file, use the arrow key to scroll down and identify the existing two certificates. Delete the existing SSL certificate file paths, and replace them with the three file paths as shown below. Remember to switch out eborchids.com with your own domain name. Once inside of the wordpress.conf file, you will add the code below to tell your server to only serve the HTTPS version of your site. Replace "eborchids" with your website's domain name. After adding the code to your wordpress.conf file, enter ctrl+o to save your changes. In order for your certificate changes to take effect, you need to restart you Apache server by entering the following commands as shown below. 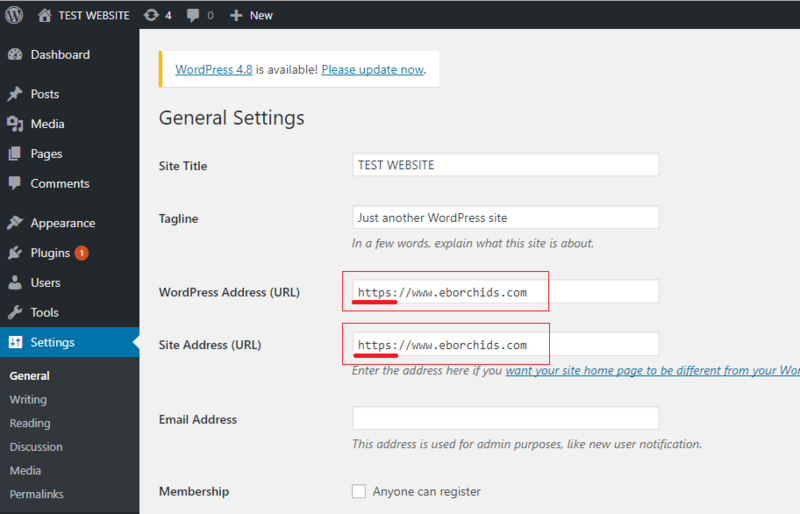 The last step in this tutorial is to go into WordPress > Settings > General, and replace your current domain name with the https:// version. Click to save changes. If your SSL certificate isn't working, check your configuration at www.ssllabs.com/ssltest/. It is recommended that you change your permalink structure to "Post name" after setting up your SSL certificates. Because you configured auto-renewal for your certificates, you don't ever need to renew them or setup new ones. The video you watched is different from the steps and video outlined in this tutorial. No SSL certificates were found on colorwale.in. Make sure that the name resolves to the correct server and that the SSL port (default is 443) is open on your server’s firewall. Verify that your instance is allowing HTTPS traffic. Go to your VM instances dashboard. Click on your instance. Next, click the ‘Edit’ button at the top of the page and make sure that the box that says “Allow HTTPS Traffic” is checked. Then click the “Save” button at the bottom of the page. The certificate is not trusted in all web browsers. 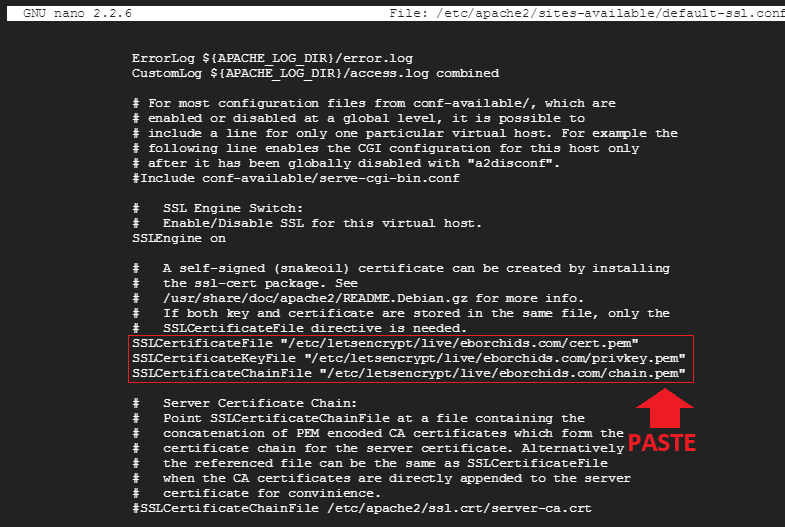 You may need to install an Intermediate/chain certificate to link it to a trusted root certificate. Learn more about this error. The fastest way to fix this problem is to contact your SSL provider. I looked up your certificates and the issuer is displaying as “Fake LE Intermediate X1”. I did a Google search on the issue and it appears to be a common problem with a number of causes. Out of the resources I’ve found, I’d recommend checking out the following two: . The first thing I would do, as mentioned in the first link, is to check the staging settings in the /etc/letsencrypt/cli.ini file. That looks like a very nice hotel – I will have to there stay next time I am in Vietnam! Anyways, I ran a test for the domain and it’s not recognizing any of the certificates on the server. So there is an underlying issue with the certificate configuration. Also – there is an updated version of the tutorial, which you can view here. It should be slightly less complicated to follow. Great article! It helped me get my certificate setup a few months ago. Today for some reason my site says the certificate expired. I ran through this again to make sure auto-renew was setup correctly and it is. Any thoughts or things to check? Follow the instructions in this tutorial for instructions on how to renew your certificate. Thanks Joe! Got it renewed and everything back in order. Thanks for these fantastic tutorials. You guys are the only site that had this info on setting up SSL with google cloud click to deploy wordpress! I found this very informative. I became confident to migrate our website from GoDaddy to Google Cloud in 2 days after reading your blog. I have a question. My current website is live with the SSL I purchased & renewed from GoDaddy. Now since I built the website in Google Compute Engine want to use that same SSL on the website. How can I use that certificate in GC WordPress? In GoDaddy certificate, it provides .crt file where I can upload those file Google WordPress? Or I need to generate a new certificate in Google? If so is this required for pricing or free? Answer from you will be highly appreciated. You can import the certificate to your Google Cloud server and use it on your Google Cloud website. I don’t have a tutorial for this, and I don’t offer support for this either. I would recommend just using a free Let’s Encrypt certificate unless it’s for an EV certificate. I say this because the basic ‘positive’ SSL certificate from GoDaddy doesn’t offer any benefits over the free Let’s Encrypt certificates. Many thanks for your reply and help. error message is self signed certificate . i want to uninstall the certificate . When you issued the certificate, you need to replace example.com with your own domain name. Additionally, the SSL checker isn’t recognizing the certificates on your server, so either they weren’t added, or their file paths are incorrect. I would recommend going through the tutorial again, step-by-step, and trying to find any errors from your first time through. This is a difficult tutorial, so please reach out to me if you have any specific questions about the configuration. Actually if I try to reinstall the certificate . It says the certificate already exists for the domain name and it give two options to choose from one is to renew and other is to renew and exit .. so firstly I want to remove the installed certificate and then try to install it . So it’s a request to guide me through removing of certificate at the First place . You will have to navigate to the directory where your certificates are saved (cd /etc/letsencrypt/live/iqrainnovators.com/) and use the rm command to delete the certificates from inside of the directory. For example, from within the directory, you would run the command rm fullchain.pem to delete the fullchain file, and you would run that same command as well for the other certificates. If you’re not comfortable doing this or if you run into any problems, try brushing up on your Linux commands by using this tutorial here. It was great help ! I reinstalled and it’s working now !! You have great explaining skill !! hello I watched this video finally forget to modify https to your web site, so I can not log in Admin, you have a better way to help me? Go into your wp-config.php file and add the 2 lines of code shown in step 7 of this tutorial. Make sure you add the lines with http only – this will give access to your website again. Then, once you fix the problem, go back into your wp-config.php file and delete the lines of code that you added. Hey, I just seriously wanted to thank you for putting this out there. I never would have figured this out without you. I’m glad to hear the tutorial helped you! Hey, quick question. Do you happen to know how to set up G Cloud with a Comodo SSL? I’m glad you found the tutorial helpful! And yes I know how to set up G Cloud with Comodo SSL. In my experience, the only reason to spend the extra time and money configuring a Comodo certificate as opposed to a free Let’s Encrypt SSL certificate is when you need Wildcard or Extended Validation (EV). I unfortunately have no choice. I’m transitioning a stage version hosted on G Cloud to production on a domain that already has a Comodo SSL paid a few years out. The stakeholders in charge of that just renewed a couple months ago and that’s what I’m stuck with. Part of the site speed improvements were switching to a new, faster host (i.e. Google Cloud). The process is similar, it just takes longer because you have to wait around for the certificate authority to actually issue them (~1 day), and the certificates have to be uploaded manually. Let me know if you have any questions or run into any issues as you configure the certificates and I will try to help. Is it possible to simply hire you/someone to complete it for me? It is a single, small site on Google Compute Engine. I sent you an email regarding the services you requested. Unreal. This is one of the best tutorials I have ever come across! Moved from GoDaddy in no time. I have set up http to https redirect as per the steps. But when I check the header response code it says ‘302’ which is not found for http to https redirect. How do I send 301 response code? Try using the redirect code from step 7 of this tutorial instead and see if that fixes the problem. 1. I had the issue with ssh key not found – solved, I have used the command panel in browser window. 2. I have completed the 2nd step and installed git. Than I had to turn down the window with command panel and got back to the process but in gcloud command. I was asked to type the username and password. So I created the account on github and type the data. The password was not visible while typing. But it turned out that the username or password is incorrect. You don’t have this step in your guide. You shouldn’t be required to enter your username and password when downloading the certbot repository. Check out the updated version of the tutorial, where the certbot repository is downloaded from a different location. Try downloading it from the new location, and see how it goes. Do you have tutorial on adding Google Cloud CDN to wordpress hosted on Google cloud? Hey. First of all thanks a ton for your wonderful tutorials and videos. 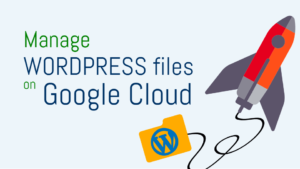 There is literally no other source out there that has such detailed tutorials on wordpress for Google cloud. For a personal like me who has always used cpanel and wordpress your articles have been really really helpful. I have one question regarding this specific tutorial. I’ve already set up 6 wordpress instances on my Google cloud project and am about to enable SSL on them using this article. Before I even followed step one of this (basically the moment I opened ssh via google) it gave me a message saying no ssh keys found, and asked me if I’d like to create them or not. I typed in Y and after this it said please enter passphrase or press enter to continue without passphrase. For some reason at this point I wasn’t able to type in anything so when I closed the window and opened it again it didn’t ask me to set up a password and automatically opens the window like it does in your video. Am I safe running ssh without any password? I’m the only admin of my Google account and used the Google way to connect via ssh as shown in your tutorial. I really have no idea about ssh and how importantant setting it’s passwords is, please guide me with this. Thanks. You aren’t required to put a password on your SSH keys, it’s just an option available to those who require the extra layer of security. Check out this thread for more information about the security implications of not using passwords on SSH keys. That being said, you are generally safe running SSH without a password. It would be a different story if you were protecting very sensitive information, or if you were running are large website with multiple admins that was frequently under attack from hackers. When you say in your comment “For some reason at this point I wasn’t able to type in anything”, here is the thing: when you type passwords into a Linux terminal, you won’t see the text that you are typing, but the text is still being typed into terminal. So, even though you were not seeing the password text, you were still typing a password. Thanks for the quick and resourceful reply. Just one more thing, anyway to reset the password now? I tried deleting the ssh keys from the Metadat tab of the project but after deleting that whenever I open ssh on any virtual machine it saying “updating ssh metadata” and the password less keys are back into the metadata. What’s the best way to delete them in Google cloud so it asks me to set password again? I am not sure how to put a password on an SSH key after it has already been generated, but I can point you in the right direction. Here is the Google Cloud documentation on editing SSH keys. Also check out this thread for more information about generating passwords for existing key pairs. Thanks. Did go through all of that but it kinda goes over my head completely. Never used SSH before, anyway I’m guessing since I have no other admin and this google command prompt SSH cannot be used without the google account login credentials so I’m safe even with SSH keys without any passphrases. So will just leave it at that and now actually go ahead with your SSL tutorial on all websites. You should be fine! I wouldn’t worry about not having a password on your SSH key. Let me know if you run into any issues in the SSL tutorials – they can be challenging! First, your blog is a must need resource for those moving to gcloud. What typically took me hours (or days in some cases) to work through in the past, literally took me minutes with the info you’ve provided. I think you are on to something and I am sure you will gain much traffic (and popularity) over time. Thank you! 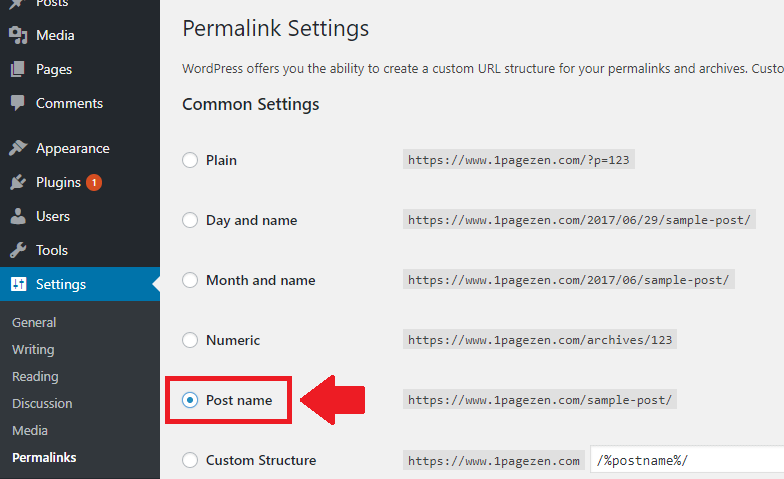 Secondly, question: What is the reason you recommend changing to “Post Name” in the Permalinks? The reason I advocated for using “Post Name” as the permalink structure is because it is good way of keeping your URLs clean and simple, which is generally good for SEO. I will try my best to help you with the problem. First of all, what does your DNS look like? Is your domain name configured as instructed in this tutorial? yea ….in DNS it is correct … but still it is not solved ? You may have to re-do the tutorial. Do you have a backup of your website? 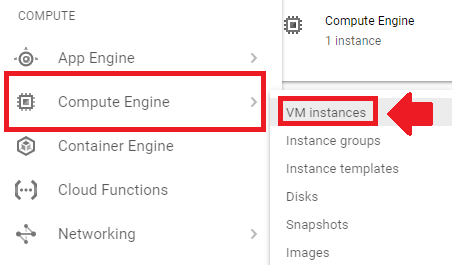 You should create a new VM instance and configure it according to the tutorials, including configuring your IP address for the new domain name. There are so many things that could have gone wrong, which would need to be addressed by accessing your server. Unfortunately, that falls outside the scope of what I offer for customer support. error : Job for apache2.service failed. See ‘systemctl status apache2.service’ and ‘journalctl -xn’ for details. The “service apache2 reload” command doesn’t appear to work with all Apache configurations. Try to fix the error yourself, using resources such as Google and StackOverflow. As a last resort, if you’re unable to fix the error, I can help you as long as you outline the steps that you took to try and diagnose/fix the error yourself. I have done both steps for the domain registration and still having this error. This is an issue with your DNS configuration. The domain you want to setup is mydomain.dk? And you own this domain name, correct? Check to see if your DNS records are configured properly according to this tutorial. the domain is domain name and I have configured flowing you tutorial bu still no success. Do you have any suggestions to guide me or help me out? It appears that the certificates were not issued properly. You server certificates are issued for http://www.example.com, but your domain is dantjesnester.dk This is based on the information provided here. 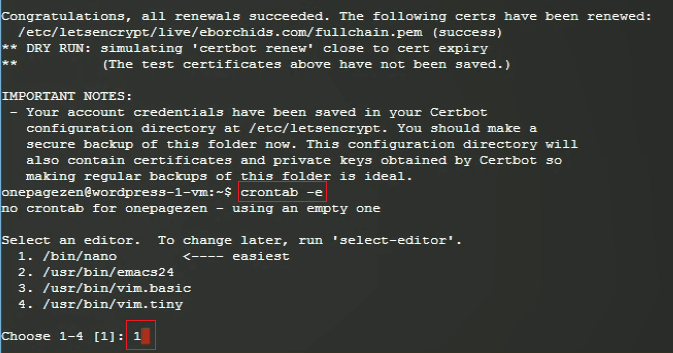 You will need to repeat the tutorial and make sure that when you issue the certificates, you replace eborchids.com (or example.com) with domain name. The setup instructions from the Bitnami WordPress SSL tutorial would be almost the same if you used Bitnami’s Ghost stack. Please copy and paste the exact command that you pasted in the terminal, and the error message that resulted. I will take a look and help you resolve the issue! I have done carefully all of your step by step. So I found it my false that for get change to my domain in step 6. But It working for me well. Your Post are very helpful. I am very glad you were able to fix the issue! 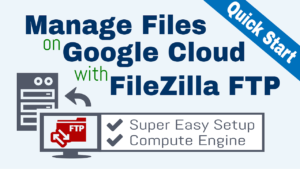 Did you configure your domain name on Google Cloud before setting up SSL? The tutorial to configure a domain name on Google Cloud is here, and needs to be completed before setting up SSL. The next tutorial you need to complete is to configure your domain name, here. ¿Qué tutorial causó el problema? También, describa el problema y el mensaje de error. I will help you solve this problem? First things first: did you configure your Cloud DNS records as shown in this tutorial here? Also, did you reserve a static IP address for your Google Cloud instance, as shown in this tutorial here? Are you using the Click-to-Deploy version of WordPress on Google Cloud, or the Bitnami version? The root directory must’ve been changed somehow from the default of var/www/html. In this situation, you may have to navigate your file directories to find your root directory, and then configure your certificates based on whatever your root directory is. I got this error in step 4., not sure how to fix. Any ideas? This error likely means that your system is trying to configure SSL for a domain that isn’t properly linked to your instance’s external IP. Did you link your domain name to your Google Cloud instance as shown in this tutorial here? Did you also reserve a static IP address for your instance, as shown in this tutorial here? Both of these things need to be configured beforehand for the SSL installation to work properly. I was able to transfer the backup, but my old site was https and now I can not log in without a panel, download the error “Privacy Error” I just need to do the correct SSL configuration step by step? Use the video as a guide, and copy and paste the commands directly from the body of the tutorial into your SSH terminal. You will only have to change the domain name from eborchids.com to yourdomain.com. DUDE!!! Thank you Thank you Thank you! Thanks for this tutorial. I’m trying to wrap my head around self-hosting a webpage, and I agree with GCloud to be a nice and cheap solution. I believe I configured my certificate the wrong way, maybe by only issuing the certbot command for bugsandbytes.com, not for both bugsandbytes.com and http://www.bugsandbytes.com. I had to add an exception when connecting to the webpage (does not make you look good). I purchased my domain with Google domains. The only issue with this is that the www. version of your site is not listed in the certificate files, and therefor the browser will show a security warning if you try to access the site via https. You should re-issue the certificates according to the tutorial and overwrite the old ones with the new ones. The new ones should have a request for both the www and non-www versions of bugsandbytes.com. I think I finally got it, after reading the Certbot documentation (duh!). I just needed to expand the set of domains, I believe. Thanks for the inspiration! When I follow all these steps and complete all the procedure, My website not running and give response that ‘server can not be reached’. Then I am unable to open my website and wp-admin. it is completely not work. I am not able to access phpmyadmin also. what s the issue and how can I fix it. There is likely an error in one of the files that you edited. Let me know and I will help you through it. when i scan my Https on ssllabtest .. there it was showing that my SSL will expire in 2 months ! is that ssl is not for 1 year ?? should i renew it every 2 months ? These are auto-renewing certificates that are issued for 3 month periods. It makes no difference whether they expire in 3 months or 10 years. Just did it all over again and all was ok, thank you so much for help, I will share this site to all my friends who are migrating to Google Cloud. I’m glad to know that everything worked out! Thanks so much for the positive feedback and for sharing the website – it is very much appreciated! Thanks so much for the comment; I was happy to see your name pop up! What did the command that you entered in step 4 look like? The only mistake I see it that http:// was included in the domain name. Let me know if this was a typo in your response, otherwise try again without using http:// in the command. hmm, that is not the case, still struggling to get things up and running, but will dig around to find the solution. If you accidentally issued the certificates for the wrong domain, try re-issuing the certificates again using the proper domain and make sure that the right certificates are getting called in your .conf folder. i got wrong step…. how do i start over… i can’t do it any more.. help my site can’t connect anymore..
Site default-ssl already enabled ( how can i disable it and enabled it.. I am assuming you figured it out because your site is loading secure, and your certificates appear to be configured properly. This needs to be configured in your cloud DNS. You can learn how to configure your DNS here.